Chris Reeve's legacy of elegant and reliable knives continues with the Mnandi. The aptly named Mnandi, which translated from the Zulu language means "very nice", is an astounding piece of craftsmanship that speaks to the high standards of quality that Chris Reeve products have lived up to again and again over the years. Whether you are looking to put this to use in your everyday life or are simply and admirer of beautiful craftsmanship, the Mnandi is just the knife for you. The Mnandi balances an all-business approach to design with tasteful aesthetic sensibility. With its sleek 2.75" CPM S35VN Stainless Steel blade finished with a fine hollow grind, the Mnandi is ready to tackle any task you might need it for with style. Its high-quality 6Al4V Titanium handle is built to last and has hand satin finished flats. The Spalted Beech Mnandi is made from the finest quality titanium alloy, the Mnandi's integral lock is sure to endure through heavy use, exposure to the elements and heavy use. 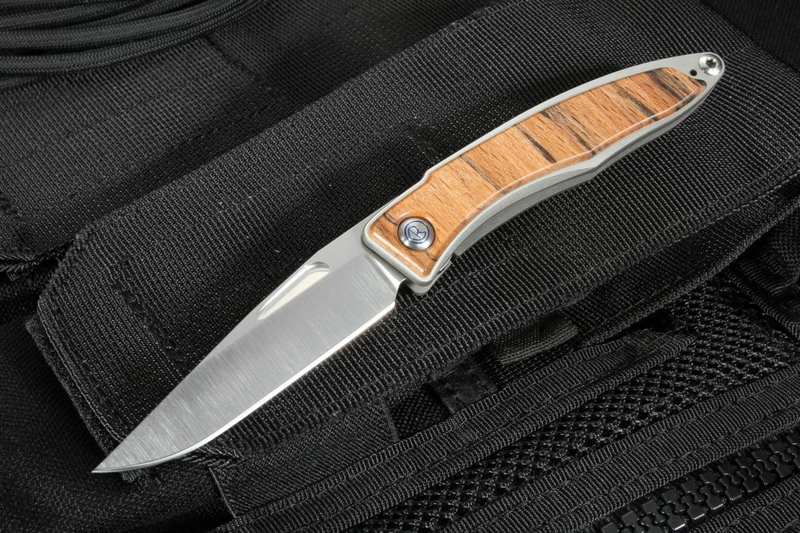 The top shelf Spalted Beech wood inlay adds to the aesthetic appeal of the knife even further, and everyday carry aficionados are sure to appreciate the balance between appearance and functionality. Measuring in at a mere 3.25" folded and 1.5 oz., this knife is compact, even for a folding knife. With so much toughness, reliability, and good looks built into it, the Chris Reeve Mnandi is a difficult one to pass up. 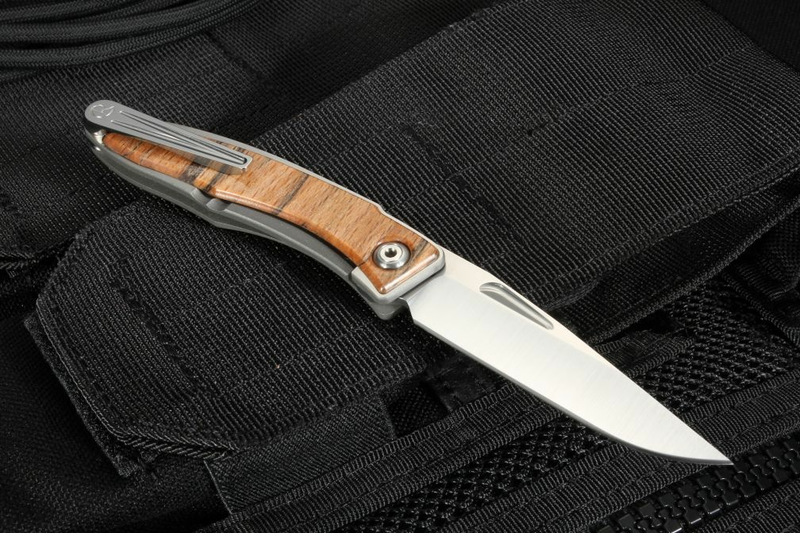 Equipped with a pocket clip machined from the same 6Al4V Titanium used in the handle, your Spalted Beech Mnandi will always be within arms' reach when you need it most. It's hard to go wrong with Chris Reeve knives, and if you're in the market for a sleek, compact folding knife, you'll be hard-pressed to do better than the Mnandi. Chris Reeve Knives are proudly made in Bosie, Idaho U.S.A.